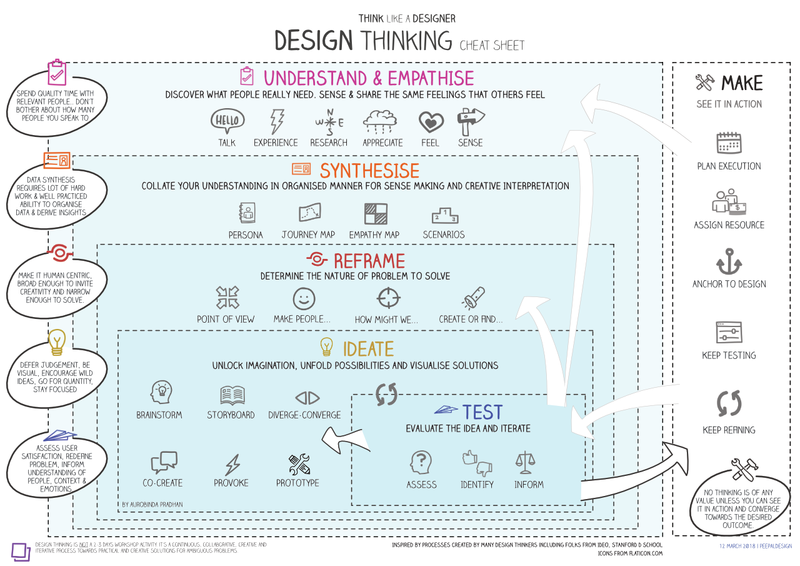 There are many ways people have represented DesignThinking Framework. Here are few exhaustive visualizations prepared by our co-founder Auro, that covers all phases and various methods that can be used in each of them. Useful as a quick guide for reference and conversation starter.